After importing my clips into Premiere Pro and selecting the one that I want to work on, I look to the Effects panel (make sure it’s visible by clicking on it in the Window section of the menu bar). 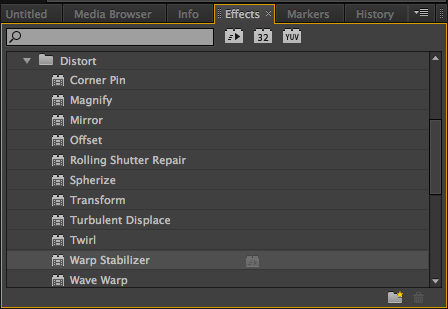 I choose Distort -> Warp Stabilizer. 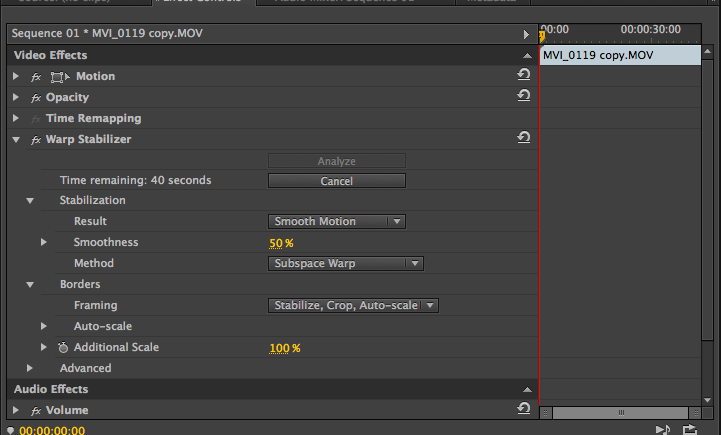 After analyzing, the video will stabilize and then you can preview the changes! ~ by flkarson on November 12, 2013. While your blog post is helpful because it shows us an important effect to fix shaky videos, I thought you could have included a couple of details that would have made your tutorial more comprehensive. For example, in the beginning when you tell the reader to “change sequence settings,” you could have either included steps to show how to or provide some sort of visual aid in the form of screenshots to make the process very clear. I love the screen shots! 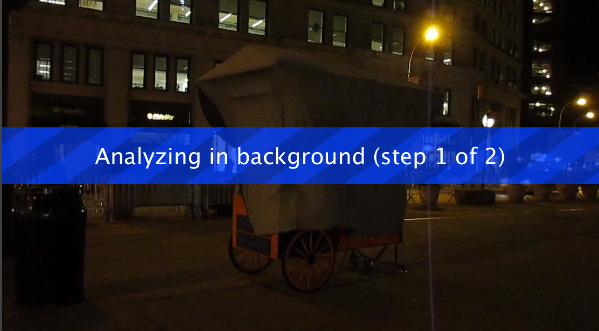 I think under your last image I see a smoothness percentage, but can you change the amount of alteration? The only serious critique I can think of is that the text (Single sentences only) seems to get lost between the images. Maybe if you just added another blank line between the text and image or something bold it could help!